Since 1978 when I was just 8 years old. The Tosh early days brought an incredible number of fans flocking to the Vetch. I loved football, played for junior kids teams (Dunvant & Three Crosses, although I lived in West Cross) and when my Dad took me to my first game, that was it. I remember being in the old Enclosure and an old guy, smoking a pipe, shouted “….back to the goalie…..same old story” which I’ve never forgotten. Unfortunately, I don’t know. It was a high-scoring game but there were too many high scoring games in those days to pick out which one it was. I don’t think it’s fair to pick a player who maybe didn’t have enough talent to play for us especially as there have been so many over the years, so maybe it was one of the few who didn’t make enough effort, thought they were too big for our club, didn’t like our fans or treated the club badly. 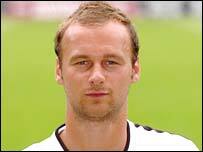 Peter Bodak is one culprit that springs to mind whilst there were players like Steve Watt (signed from Chelsea) who thought playing for Swansea City was one big party. Ninian Park and Legoland because of some of the scum in the home end, Palace is a dump but there were some really awful grounds in the bottom divisions. Strangely, I miss many of them now. My least favourite grounds now would possibly be some of the boring stadia that we play in nowadays. Maybe pre-match before West Ham away in the Cup in 1999. Our coach stopped at a social club near the Boleyn Ground and we all had quite a few very quick beers. I was in the toilet when an extremely drunk guy next to me asked me, with his head pressed against the wall, would I like to be Cyril the Swan for the game. Slightly confused and a bit drunk myself, I asked what happened to the normal Cyril. “I’m him and I’m hammered”, he replied. The fan scoring at Liverpool when we lost 8-0 and seeing the legendary Julian Alsop celebrating with the North Bank after we’d come back from 1-0 down to win 2-1 also spring to mind. Robbie James, without a doubt, and I’d love to take Curt with me too. Robbie was my hero on the pitch and a true gentleman off it. If he was in his prime now, he would be one of the top midfielders in the world. There aren’t many box-to-box, goalscoring, tough-tackling midfielders around and Robbie was light years ahead of the game at the time. I was fortunately enough to have had a few beers with Robbie over the years and would give so much to have a chance to have a “cheeky Nando’s” with him! 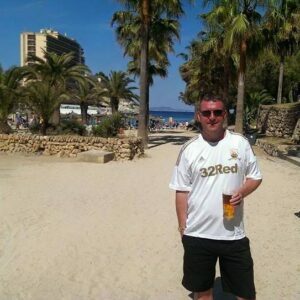 I love the fact that we’re Welsh, that we’re really still a small club, that we were useless for so long, that Lee Trundle joined us and helped transform us, that Roberto brought us a new identity, that our Board are all Swans fans, that the Swansea City Supporters’ Trust is now run by people who care about SCFC (not just their own egos) and that Leon Britton is still with us! We are special and we need to really make sure that that’s how it stays, regardless of what division we’re in. Jokes aside, there’s not a lot to change or complain about really, so I suppose all I would ask is for a full-sized version of the Robbie James statue and something somewhere to remember the late and great Richard Lillicrap whose vision and passion back in the dark days helped the Swans Trust and Club be where they are today. Sadly, he never got to see these incredible times and I would love to see him remembered in some way. Vetch pasty every day. I remember them being sold by young kids handing them over to the terraces during games. They might well have stuck to your pallet, but they were great with a cup of hot Bovril. Jealous you were lucky enough to spend time with the great man, Robbie James. My hero as well, Nick and I’m sure he would have been an absolute gentleman.